Category: Self Help & Personal Development Tags: enrichment, insight, philosophy, self-help, wisdom. This book helps us shed our blinkers, put on our thinking caps, and come to conclusions we can really build on. Spend five minutes on any of the 80 questions and answers here and you will gain in wisdom and insight. Gerald Benedict, a philosopher trained in issues of knowledge and faith, offers us ideas that prompt us to think more seriously about those universal questions – with the help of quotations from great thinkers and writers through the ages. As we engage with a stimulating text, our minds are opened to new ideas and our lives enriched. 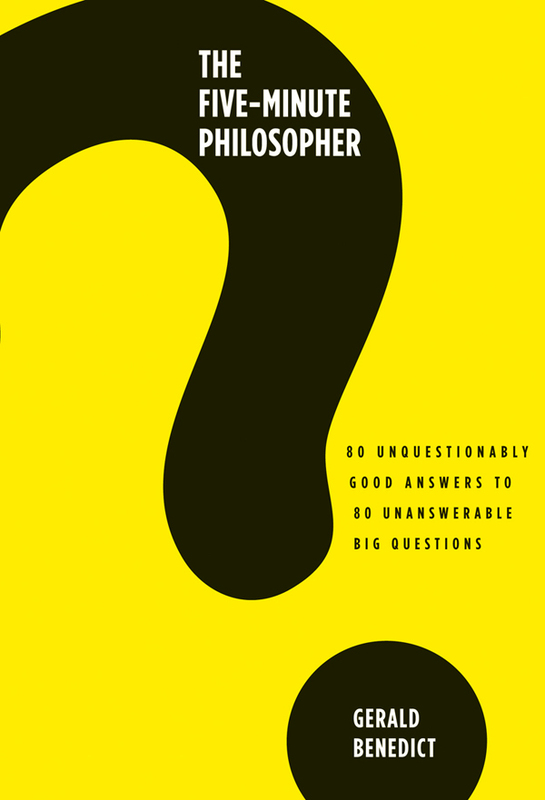 This book provides nimble, wise and perceptive responses to questions that have no absolute answers: instead, the author aims to stimulate thought and discussion that will lead to deeper understanding and further exploration. The same question will prompt different answers for different people: this is the essence of independent thought.